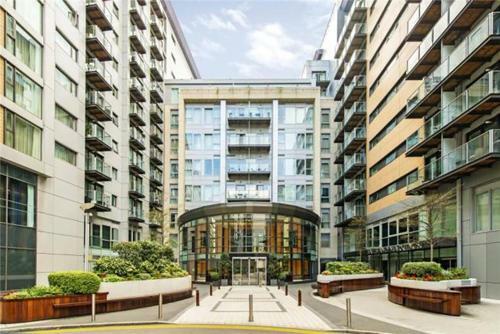 Luxury Studio Chelsea Bridge Wharf in London is an apartment building. Located 2.6 km from Buckingham Palace and 2.8 km from Victoria and Albert Museum, Luxury Studio Chelsea Bridge Wharf is set in Wandsworth district of ...London. Situated 2.9 km from Harrods, the property features a terrace. With free WiFi, this 1-bedroom apartment provides a flat-screen TV and a kitchen with an oven and microwave. The property also has 3 bathrooms with a bath and shower. St James's Park is 3.1 km from the apartment. London City Airport is 18 km from the property. 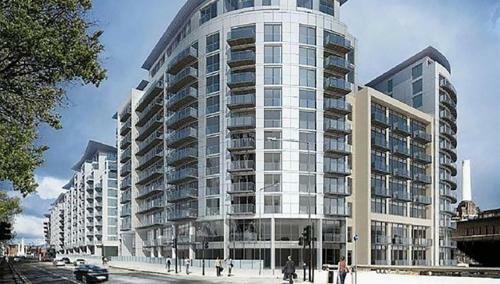 When would you like to stay at Luxury Studio Chelsea Bridge Wharf? Guests are required to show a photo identification and credit card upon check-in. Please note that all Special Requests are subject to availability and additional charges may apply. Please inform Luxury Studio Chelsea Bridge Wharf in advance of your expected arrival time. You can use the Special Requests box when booking, or contact the property directly with the contact details provided in your confirmation. This property will not accommodate hen, stag or similar parties.